Engineered walnut flooring has contrasting tones from light to dark brown which gives a stylish and sophisticated appearance to this engineered flooring. 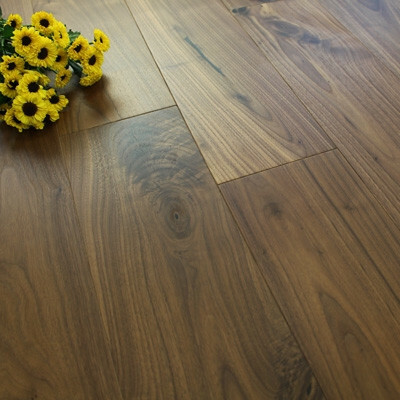 All of our engineered Walnut floors have a tongue and groove profile and either an oiled, lacquered or UV oiled finish. Walnut flooring is known for its distinctive grain pattern and characteristic knots, which make this flooring perfect for anyone looking for a naturally darker floor. 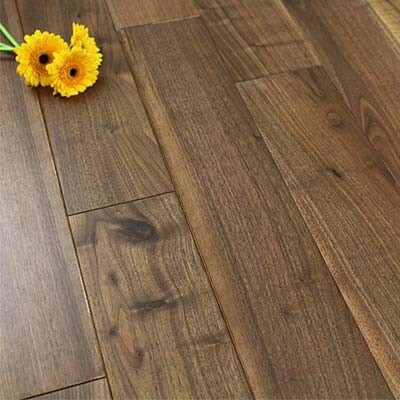 All of our engineered walnut flooring comes with a traditional tongue and groove fitting profile and various different board lengths and thickness. Walnut flooring is very easy to look after and keep clean by following a simple routine of regular sweeping, cleaning with a wooden floor cleaning spray and microfibre mop, and by taking steps to prevent damage in the first place, for example, removing footwear and using felt protector pads on the bottom of furniture. For a more thorough and detailed explanation of how to care for your floor, please see our Wood Floor Care and Maintenance Guide. Engineered walnut flooring is just like any other engineered wood floor, in so much that it is dimensionally stable, meaning it can be used in much more versatile ways than solid wood flooring. 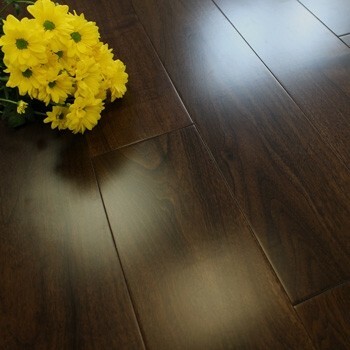 For more information, please read our blog on Advantages of Engineered Hardwood Flooring. For further advice and guidance on any of our floors, accessories or flooring products, please contact our sales office.